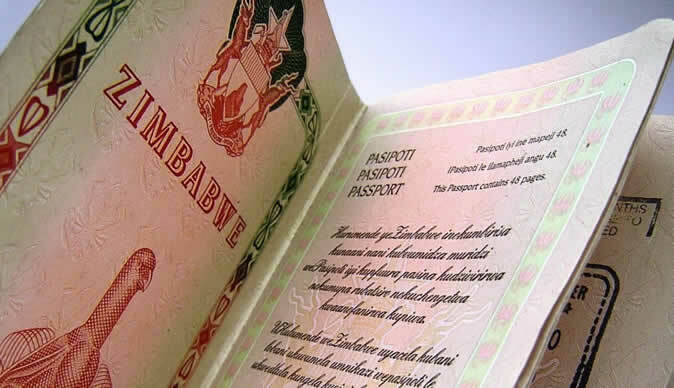 Government is making concerted efforts to produce and avail vital civil registration documents and passports to applicants when they need them, Home Affairs and Cultural Heritage Minister Ambassador Cain Mathema has said. In this regard, he said, passports will soon be processed within four weeks. "It is my desire to ensure that the passports and other vital registration documents are produced and made available as soon as possible and as and when our people require them," he said. "In the very near future, passport availability will be done within four weeks." Ambassador Mathema was speaking while addressing a Press conference during a familiarisation tour of the Registrar-General's Central Registry in Harare. He said the production backlog of passports going as far back as April was unacceptable. "This is unacceptable as it causes inconveniences to the public," said Ambassador Mathema. "I have discussed this with the Registrar-General (Mr Clemence Masango), who has assured me that there is now a work plan in place to clear the backlog within the shortest possible time and bring passport production to within normal timelines." Ambassador Mathema said Government had invested immensely in the technological development at the Central Registry, which was acknowledged in the region and beyond. He said he was aware of the high expectations from members of the public and other stakeholders for quality and timely provision of service delivery, particularly in the areas of issuance of travel documents among others. Ambassador Mathema said he was aware of the challenges being experienced by the department and was committed to ensuring that they were addressed. He said plans were underway to launch the e-passport, which had been developed over time after thorough research and consultation in line with the International Civil Aviation Organisation standards and guidelines on travel documents. Ambassador Mathema said efforts were underway to decentralise and bring services closer to the people. "Subject to availability of resources, my ministry intends to complete construction of district registry offices in a bid to improve service delivery," he said. "These include Murehwa, Goromonzi, Hwedza, Kadoma, Insiza and Binga. "Construction of Nkayi and Nyanga district registry offices has been completed and these will soon be officially opened to the public." Ambassador Mathema said he was briefed on the department's intention to introduce and implement the Electronic Queue Management System in all provinces as soon as possible to ensure that people were served in an orderly and convenient manner. "This will go a long way in flashing out touts who are a menace at our registration offices," he said. "Touts fleece members of the public of their hard-earned money, promising that they can secure positions for them in the queue or connect them with officials to speed up the processing of their applications. We want to see a situation where members of the public who visit our offices can walk peacefully without being molested by touts where they can be served in a dignified manner. The public does not deserve to be harassed by touts and I understand their frustration." Ambassador Mathema appealed to the public to be patient with management as they were studying the situation in order to come up with the best strategies to improve service delivery. He called for support in the fight against corruption in all its forms and manifestations. "Corruption by anyone and anywhere will not be tolerated," he said. "My ministry does not condone any corrupt practices and due process of the law will be allowed to take its course against those who offer, solicit for or receive bribes or favours of whatever kind." Ambassador Mathema, who was accompanied by the permanent secretary in his ministry, Mr Melusi Matshiya, Mr Masango and other senior officials, visited the Central Registry, particularly Passport Production Centre, the Passport Booklet Factory and the ICT section. The objective of the tour was to meet management and members of staff to have an appreciation of the systems, structures and processes in use.